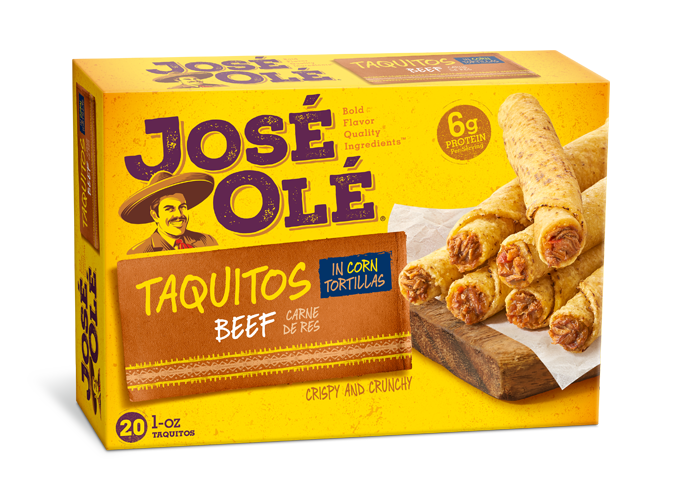 Extra flavor to José Olé Mini Tacos! Serve mini tacos with a delicious dip and you will satisfy your party guests every time. This dip uses fresh and prepared ingredients for full impact and easy preparation. Tacos can be served with flavorful salsas, guacamole or even sour cream. 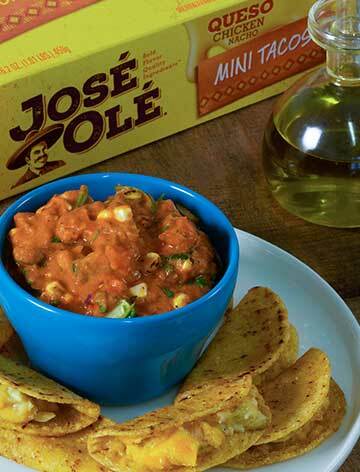 Have fun in the kitchen and at your party with easy and delicious José Olé prepared tacos. Follow the steps to prepare our Chipotle Salsa Dip with Mini Tacos. 1. 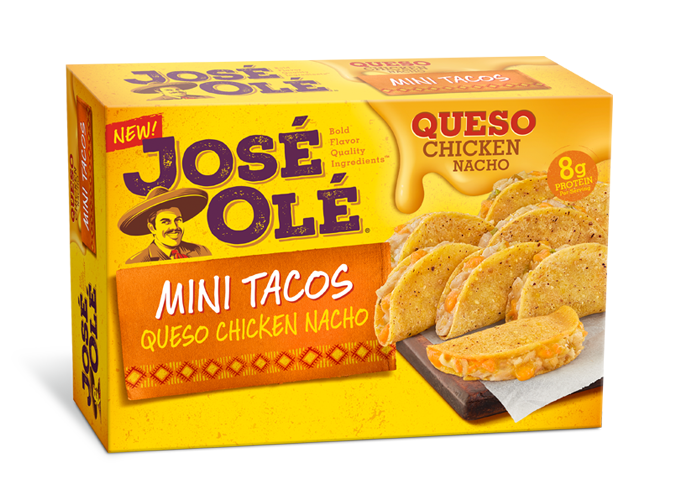 Prepare José Olé Queso Chicken Nacho Dos Tacos according to package directions. 2. Toss together oil, red pepper, onion, tomato, jalapeños, garlic, chili powder and half of the salt and pepper. Arrange on parchment paper–lined baking sheet; bake in 425˚F oven for 18 to 20 minutes or until golden brown and caramelized. Let cool to room temperature. 3. Meanwhile, preheat grill to medium-high heat; grease grate well. Cook corn for 10 to 12 minutes or until grill-marked and tender. Let cool slightly and slice off kernels from cob. 4. In a blender, purée roasted vegetables, refried beans, canned chipotles, lime juice, cumin and remaining salt and pepper until smooth. Stir in corn, cucumber, tomato, and cilantro. 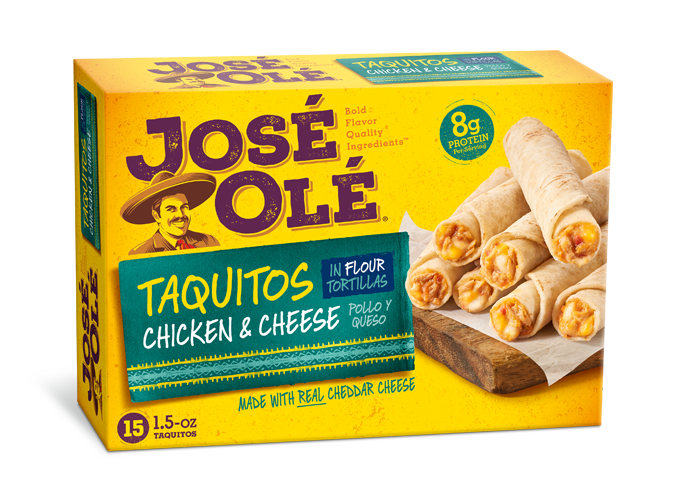 Serve with José Olé Queso Chicken Nacho Dos Tacos. – This dip is a flavor sensation! It’s perfect for sharing with your family and friends at any party or gathering. Adjust the chipotle to please the crowd; use only 1 chipotle for milder flavor or more for a spice-loving crowd. – Roast corn in the oven if you don’t have a grill. It will be just as tasty.